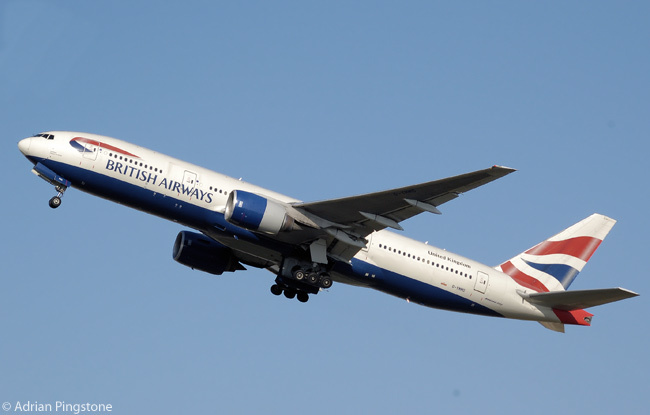 British Airways is increasing the number of flights it operates to the Caribbean from the start of its summer 2011 schedule on March 27, in response to the success of its long-haul leisure routes from London Gatwick Airport. The airline will offer a total of 15 destinations in the Caribbean from November 2010, when British Airways launches twice-weekly service from Gatwick to the Yucatan beach city. From March, BA’s flights from Gatwick to Barbados will increase from 10 to 12 services a week. The airline’s schedule between Gatwick and Antigua will increase from five to six services a week and the airline will up its service to St. Lucia and Port of Spain in Trinidad to daily flights from five flights a week. Additionally, British Airways will add an extra flight on its new route Cancun for its summer 2011 schedule, increasing the frequency of the service from two to three flights each week. British Airways is also increasing its flights to Tampa from five a week to daily. The airline’s vacation company, British Airways Holidays Ltd, features a choice of hotels in Florida, from famous landmark venues to historic city-center hotels and properties in its Prestige Collection. The airline also recently announced a new direct flight to Buenos Aires. Currently the airline’s Buenos Aires flights stop first in Sao Paulo before going on to the Argentine capital, but British Airways will serve Buenos Aires and Sao Paulo independently from 2011. To find hotel deals in the Caribbean, click here. Please resume flights to the Caribbean from Heathrow. Why so few Caribbean flights out of Heathrow?